Administrative License Revocation | Nicky Boatwright, P.C. If you are arrested for either Driving While Intoxicated (DWI) or Boating While Intoxicated (BWI) and you either refuse to take a blood or breath test or fail a blood or breath test, you will be subject to Administrative License Revocation (ALR). Your driving privileges can be revoked for a period of time unless you challenge this revocation in a timely manner. In most cases, you only have 15 days from the date of arrest to request a hearing. This is a civil process that is independent of the criminal charges for DWI and BWI. Obviously, if you tell law enforcement, “I refuse to take the test,” this is a refusal. However, failing to provide a sufficient breath sample may also be considered a refusal. Sometimes, a refusal is a judgment call. This is one area where challenging the revocation of your license may be of benefit. The criminal consequences for a DWI or BWI conviction include incarceration and a fine. The length of time you may serve in jail or prison depends on your blood alcohol concentration and whether or not you have prior DWI or BWI convictions. The civil consequences of a DWI or BWI arrest include the revocation of your driving privileges. While this may feel like a punishment, and thus is easily confused with a criminal consequence, it is considered non-criminal. Note, the civil consequence of license revocation happens on arrest, not conviction. Even if your lawyer gets your case dismissed in criminal court, if you don't also challenge the civil revocation, you still lose your driving privileges for the time prescribed by law. First, if you don't challenge the license revocation, your license will be revoked for a period of time. This is true regardless of whether the stop of your car was valid, whether the test functioned as it should, or whether there are other reasons why you wouldn't get convicted of a DWI or BWI at trial. Second, if you do challenge the administrative license revocation, you are entitled to a hearing. At the hearing, an Administrative Law Judge will listen to testimony and receive evidence. And at the hearing, the Department of Public Safety must prove its case. If it cannot prove the testing was based on legally supportable facts or if they cannot prove you failed the test, your driving privileges will not be revoked. While this finding is not binding on the criminal court, it could help lead to a favorable resolution of the criminal case against you. There are separate periods of disqualification for those with a Commercial Driver License (CDL). If you are charged with a DWI or BWI, contact Nicky Boatwright. 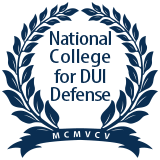 Nicky is an experienced DWI attorney. Not only has she handled hundreds of DWI cases, Nicky Boatwright is trained in DWI Blood and Blood Drug Analysis as well as the Breath Tests used by law enforcement in Texas. If there is a way to challenge your DWI or BWI charges and administrative license revocation -- whether it's because the stop was illegal, the test was not performed correctly, or the instrument failed -- Nicky Boatwright will challenge the charges to the fullest extent possible. Contact her office either online or at 806-747-8002 to schedule a consultation.